SMALLRIG Cold Shoe 1960 comes with two 1/4" thread holes, which can be directly mounted on any two 1/4" holes up to 9mm-18mm part center to center. It allows to mount on-camera lights, top handles, microphone and more. 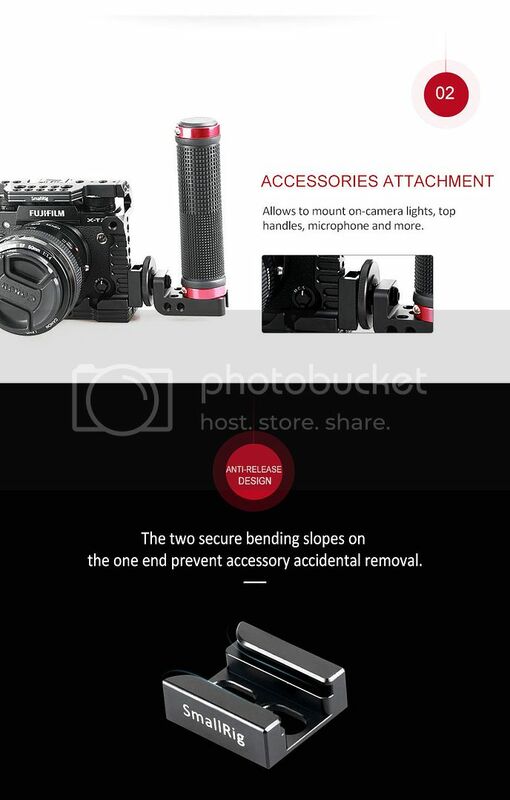 The two secure bending slopes on the one end prevent accessory accidental removal. This cold shoe will not influence the electronic touch point of devices with 4.5mm vertical distance on the middle.